If you are looking to calculate gains on your investments then an investment calculator is a great tool . Keep in mind that none of these take into consideration taxes you might have to pay or any other fees or commissions. If you participate in an investment opportunity with Simple Acquisitions you will most likely be able to eliminate any income tax based on the cash flow of a property. 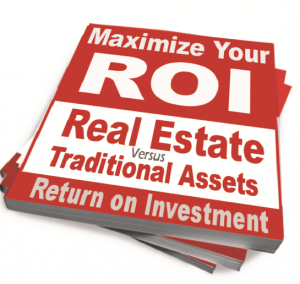 You may also be able to eliminate any capital gains that would normally be generated on the sale of a property. Before you decide WHERE to put your hard earned cash, you may want to see the future value of those dollars. Below is a link to the Securities and Exchange Commission’s compound interest calculator. Make sure you keep in mind that this calculates values based on the assumption that the returns from the previous period is re-invested into the investment. The new higher number (original investment amount + returns from previous year) is used as the new principal amount. If you are receiving payments from an investment throughout the year that calculation will be different since your principal amount will remain the same. Plus the interest will be generated from that fixed investment amount. This next calculator is also a compound interest calculator which allows you to indicate if you will be making any monthly deposits towards the investment. It’s a good tool as it gives you the value of your investment at the end of each year. This next investment calculator will determine the amount of year necessary to achieve your desired portfolio value. All you have to do is enter the present value of your portfolio. Next enter the value you wish to grow it to. Then thirdly enter the rate of return you are capable of achieving. The value it produces is the amount of time necessary to accumulate that amount. Since we are a real estate investment company we personally play with mortgage numbers all the time. We decided to include a mortgage calculator in here for those of you who maybe wish to double check the numbers that we produce when we have an offering. 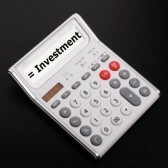 These are just a few investment calculators that you can use. There are others available. It all depends on what results you are looking to find. If you would like more information drop us a line. Most people who invest strive for a good return on investment. There are lots of options out there.